A look back at some Fantastic Fantasticks! Did you land a role as Luisa? Were you the mysterious El Gallo? Share your stories with us! Did you know? - Glenn Close played Luisa in 1968 while attending college. "I have the fondest memories of appearing in The Fantasticks alongside Elliot Gould who, like myself, was at the start of his career. We were on the road for months learning, playing and laughing while gaining invaluable experience. It was a treasured time and is a delightful memory." 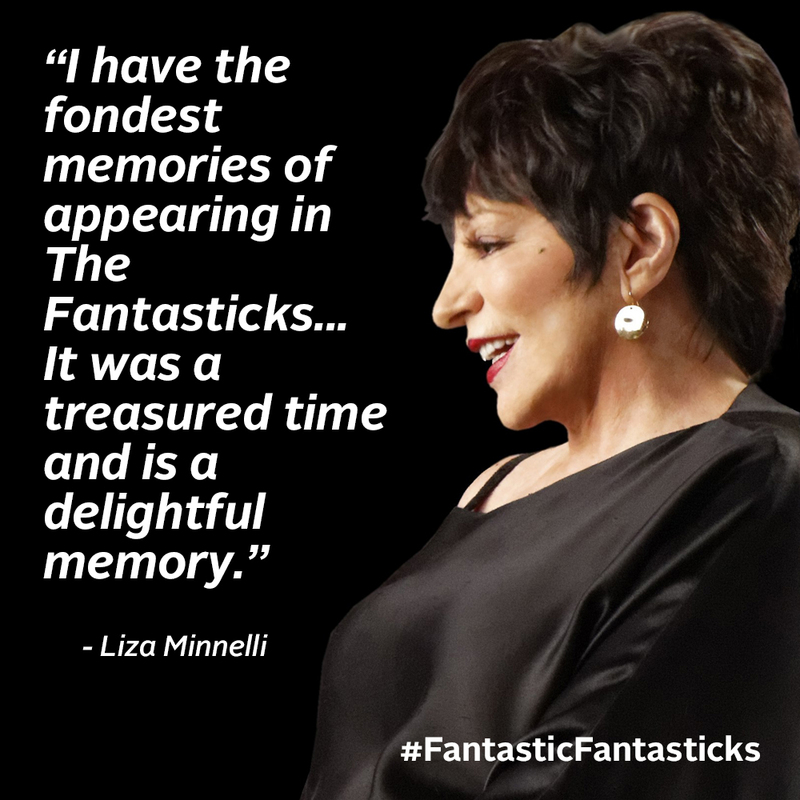 - Liza played Luisa during the 1964 tour of The Fantasticks. “The Fantasticks continues to be one of my all time favorite professional memories. I remember making no money, but it feeling like I had made it in New York City! The show's meaning is one that stays with you throughout your life. The lyrics from "try to remember," to "they were you" are so very poignant. What an honor it was to be involved in one of the great American music theater pieces."